Fortunately, the laws of “Economic Mother Nature” cannot, and will not, be repealed. Clearly, something extremely extraordinary is going on the global physical markets, as the trend toward collapsing gold inventories has reached crisis levels. To wit, on Friday alone, another 13% of the COMEX registered inventory disappeared, leaving a record-low 432,000 ounces supporting the entire Ponzi scheme, worth a piddling $500 million at today’s prices. Moreover, by year-end, it’s entirely possible that no more than 100,000 ounces will remain, in light of additional December contracts still standing for delivery. Meanwhile, Shanghai Gold Exchange volumes have recently exploded, suggesting additional, massive physical deliveries in the coming weeks; whilst Indian gold premiums have surged to a record 23.5% above the Western “spot price.” In fact, Paper PM prices have been suppressed so extraordinarily, that despite the most positive supply/demand fundamentals of our lifetimes, major mining companies are cutting staff, capital expenditures, and production en masse. In the real world, wholesalers were the busiest in months yesterday, and they are run off their feet again today. Looking at the charts, that’s really counterintuitive to what’s happening. There is enormous demand sub-$1,200, and these divergences cannot last much longer. This enormous leverage employed by these paper market sellers is a distortion of what’s really happening. We’re stretched so far that the unwind and the rebound higher is going to be disorderly, as sovereign and central bank buyers continue to milk Comex based leverage selling. They are busy converting this resulting spot price into physical (gold) at the painted fixes (in London). This physical latency will catch up in a very disorderly way the moment the downside momentum wavers. And we’re reaching the point where we can see that change in behavior is beginning to become evident. Maguire mentions the aptly named London “fixes”; which for years, I have cited as the Cartel’s primary attack times – particularly the “PM Fix” at 10:00 AM EST, marking the end of the global Physical PM trading day. Amazingly, throughout a 13-year bull market, gold is actually net down during the ensuing “paper” period – particularly, New York COMEX trading; and finally, the word is getting out. Last month, it was reported by Bloomberg, the Wall Street Journal, and other MSM outlets that the PM fixes were being investigated for trading improprieties, surrounding the five firms involved; i.e., Barclays, Deutsche Bank, Bank of Nova Scotia, HSBC and Societe Generale. The fact that Barclays was the central figure in last year’s LIBOR rigging scandal only makes things that much more suspicious; let alone, that HSBC is custodian of the controversial GLD gold ETF, and Bank of Nova Scotia one of the three main COMEX depository managers. Frankly, I don’t expect TPTB to allow the investigation – which, ironically, includes the U.S. CFTC – to conclude anything substantial. However, in our view, the fact it is getting such widespread attention may well prove a “tipping point” in the battle between the fraudulent paper and real physical markets. Thus, I was extremely encouraged by this follow-up article by Bloomberg on Thursday, highlighting what we view as by far, the most damning evidence against the paper manipulators. Long-time Miles Franklin Blog readers are well aware of the fine work of European analyst Dmitri Speck, who has charted every single day of gold and silver trading over the past 15 years; i.e., since former Treasury Secretary (and Goldman Sachs CEO) Robert Rubin famously espoused America’s to-this-day-ambiguous “strong dollar policy.” Bloomberg actually published his infamous chart memorializing the unnatural suppression of prices at both the AM and PM “fixes”; asking the obvious question of how these banks’ manipulative activities can be stopped. In the excellent 1997 movie Contact, Jody Foster travels through a wormhole to a distant galaxy; where she meets an alien being, asking him how their respective races’ relationship would progress. He tells her “in baby steps”; indicating that in time, all will be revealed – which is exactly what is going on in the heavily manipulated Precious Metal markets. In other words, in time, the entire world will be aware that archaic paper exchanges like the LBMA and COMEX are not only obsolete, but rigged. Better yet, it won’t take “ages” to occur; as the Cartel’s “Achilles Heel” of collapsing physical supply, amidst surging physical demand and prices below the cost of production – may well cause such “enlightenment” to occur much sooner, and more explosively, than most can imagine. 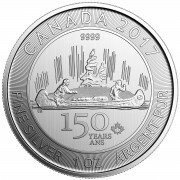 From this summer’s depths, at $1,182/oz. 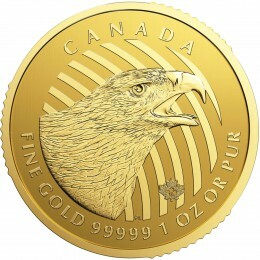 gold and $18.50/oz. silver – i.e., not far from this morning’s levels – prices suddenly surged to $1,430/oz. and $25.00/oz., respectively, in just a month’s time. Will this happen again in early 2014? We have no crystal ball, of course. However, it’s difficult to believe it won’t; as the proverbial “beach ball” has never been held this far underwater – amidst a political, economic, and social environment in which any number of black, “grey,” or other types of “swans” are lurking. And even if we wait somewhat longer for this inevitable validation, the opportunity to protect one’s assets from the long-term inflation guaranteed by cornered Central banks has never been better. No inflation, you say? Then how is it that both chicken and beef prices hit all-time highs last week – with the prospect of Obamacare’s widespread launch driving the world’s highest healthcare costs exponentially higher? Just like any other inexorable trend, the “mainstreaming of PM manipulation” will spread the world until ultimately, the so-called “arbitrage” between physical and paper prices is resolved – in the favor of the “path of least resistance”; i.e., materially higher levels. Unfortunately, such an event will also be accompanied by the realization that “money” as we have known it is dying; at which point, either you will have safeguarded your financial future with real money or forever lost the chance – certainly at prices even remotely near today’s historically suppressed levels. As always, we encourage you to do your own due diligence; and please, utilize Miles Franklin as a resource whenever possible. Remember, our goal is to educate, assist, and of course, broker any future transactions you decide to make. We have been doing just this for 24 years – without a single registered complaint with the Better Business Bureau; and strive to be the most competitive, service-oriented, and respected name in the bullion business. I’ve been wanting to send you an e-mail for quite some time. I appreciate your candor and what I feel is a spot on, honest, evaluation of the PM market and the state of Fed manipulation games we are all having to deal with. I too worked for Salomon Smith Barney, as a Financial Advisor with over 20 years in the industry, leaving the firm in 2003 for Merrill Lynch. I’m sure I probably ran into you at a roadshow in the late 90’s. I have recently left the industry and am presently a prop trader for a private equity firm. 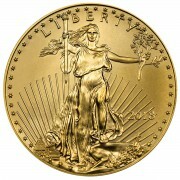 Most of my net worth is in hard assets, with precious metals bullion comprising the largest share. When asked by colleagues, family, and friends as to why I have personally exited the stock market, I told them that I likened it to picking up nickels and dimes in from of a moving bulldozer. The potential move up on the long side will be peanuts compared to the massive smash which is imminent. Investors who haven’t yet picked up physical gold and silver, and are now dipping their toes into the paper equity markets at this point need to have an MRI done to see if they have a brain. It’s just about “Lights out Irene” time! A pleasure to meet you. Yes, I was an oilfield service analyst from 1999-2005 with Geoff Kieburtz, Mark Urness, and Mike McNair, among others. Great to see you are doing well. Feel free to contact me at any time. Merry Xmas Mr Hoffmann. I liked your points in this article. I am very excited about Eric Sprott’s views on gold for 2014. He is really sticking his neck out and saying we are going to have a better year in 2014. If we do a risk assessment for gold, if appears that we have a good shot at a great New Year. Let’s hope for the best. I don’t think there’s 12 months worth of phyzz left in the Western vaults so price has to eventually rise. Again, Merry Xmas and a Happy New Year for everyone. NO WAY there’s 12 months of supply left. SOMETHING will give soon, IMO. Merry XMas to you, too. I want to thank you for another year of incredible articles to help spread the truth and to educate and protect those who care to listen. 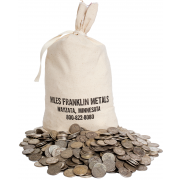 Thanks to the fantastic information that Miles Franklin puts out every day, I NEVER waiver in my conviction of having a substantial part of my savings in precious metals. In fact, it was your writings that convinced me to sell all my mining stocks, cash in all of our IRAs and convert them to precious metals a couple years ago. Thankfully my wife has been understanding enough to not kick me out of the house. Whenever she has any doubts that we did the right thing, I share with her article that you and Bill write on a daily basis. 2014 has been tough for those of us who know that precious metals ultimately are the best financial protection for now, but thanks to the great information you put out every day, we all know that this won’t last and that better days (at least in terms of precious metal prices) are ahead. Happy holidays to you and your family. I am sure the first Christmas with you lovely new daughter will be extra special. Thanks so much for the very kind words. It is for people like you that I look forward to waking up for each morning!